Reverse mortgage technology executive Wendy Peel was honored this week by the Mortgage Bankers Association with its 2018 Tech All-Star Award. Peel, who serves as vice president of sales and marketing for national software provider ReverseVision, accepted the award Monday during the MBA’s annual Technology Solutions Conference & Expo in Detroit. It is the 17th year MBA has awarded this honor. 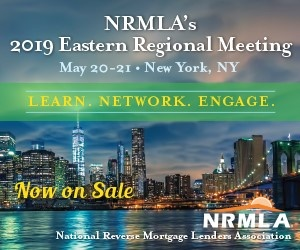 The national recognition served as a nod to not only to the growth of the software platform but also to the “normalization” of Home Equity Conversion Mortgage loans. Under Peel’s tenure, ReverseVision has added more than 2,500 lenders and brokers to its platform, which now serves more than 10,000 active users. She was integral to the launch of the company’s annual user conference, RV UserCon, which held its third meeting this February, and has driven change across the industry, said ReverseVision’s CEO John Button.